Mystics and sages have long maintained that there exists an interconnecting cosmic field at the roots of reality that conserves and conveys information, a field known as the Akashic record. Recent discoveries in vacuum physics show that this Akashic Field is real and has its equivalent in science’s zero-point field that underlies space itself. This field consists of a subtle sea of fluctuating energies from which all things arise: atoms and galaxies, stars and planets, living beings, and even consciousness. This zero-point Akashic Field is the constant and enduring memory of the universe. It holds the record of all that has happened on Earth and in the cosmos and relates it to all that is yet to happen. 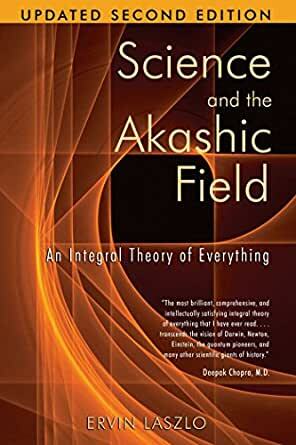 Prior to reading this I already grasped the concept of the Akashic record as it might relate to quantum physics, this book explores that idea in much greater detail. I have an avocational understanding of particle physics and quantum mechanics, but my engineering mind has trouble resolving nebulous concepts like superposition, nonlocal coherence and wave particle duality. What this book does is postulate that an Akashic field interacts with the quantum vacuum to produce these manifestations of quantum weirdness at the micro- and macroscopic level. I think. I have to read it again. 5.0 颗星，最多 5 颗星Why are 50% of the 1 star reviews NOT Verified Purchasers? How is it that 85% of the 5 star reviews are verified purchasers, while 50% of the 1 star reviews are verified purchasers? Love your book Ervin and, as a meditator for 50 years, I see that the Akashic field is every bit as real as the "scientific" fields.